"One in a great while, there comes along a recording that throws a reviewer into a palsied seizure, simply because he does not have sufficient command of the language to give adequate praise." So wrote an anonymous journalist in reference to the Mighty Hannibal's bone-chilling Vietnam War saga "Hymn No. 5" upon its release. To even attempt to review a record this unique and monumental seemed almost insulting—and the years have made said descriptions no easier. Desperately sung from deep inside a foxhole, Hannibal pleads in hopeless graphic relief, turning in one of the most terrifying slices of soul music ever put to wax. Similarly, his autobiographical "The Truth Shall Make You Free" rails against the agony of heroin addiction as he triumphantly kicks the monkey on his back with the help of none other than Jesus Christ. With an advertising campaign that juxtaposed needles, pills and the Bible, there was no doubt that Hannibal—born James Shaw—was a soul crusader to the core, and he remains so to this day, equally adept at churning out raw dance floor workouts like "Fishin' Pole" or deep soul ballads like "The Biggest Cry." 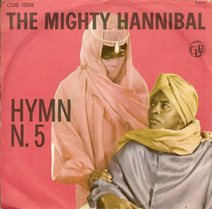 Meanwhile, songs like "I Need A Woman" find Hannibal's voice crackling with the intensity of top running partners Johnny "Guitar" Watson and Larry Williams, underscoring the electric osmosis of decades spent in the dressing rooms, hotels and bus stations of the long lost era of Chitlin' Circuit black show business. From Sammy Davis Jr. to James Brown to Stokely Carmichael, Hannibal hung with 'em all , even doing a stint as driver and valet for New Orleans' Huey "Piano" Smith and the Clowns. Aside from Nathaniel Mayer, few soul singers have ever managed to come across with the fractured intensity that Hannibal continues to bring to the table. A recent appearance at Brooklyn's Hook 'n' Boogie Festival with life-long compatriot Young Jessie found our man as fired-up as ever, crescendoing with a brand new number speaking out against the war in Iraq and demanding that the Bush administration step down immediately. Not surprisingly, it was as good as anything he cut in his sixties heyday.